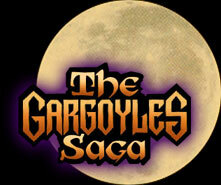 Welcome to the directory-by-series for the characters of Gargoyles and The Gargoyles Saga. The Biograph Project is a work in progress; additions to this page are likely to be slow and sporadic. Right now we are working on the Gargoyles and Pendragon series, with Dark Ages, Timedancer, and Bad Guys to be added once files for those series are compiled and updated. Gargoyles - The main cast members who are gargoyle are pretty much limited to Griff by the time of Pendragon Season Four; previous seasons of Pendragon included Una, Leo, Michael, Caspian, Rosalind, Tiberius, the London '78 rookery, and the Caledonian Clan as Supporting Characters. Information for the other series will be updated when ready. We thank you for your continued patience, interest, and support for the project.